He was met with praise for his acting debut in Christopher Nolan's Dunkirk in 2017. 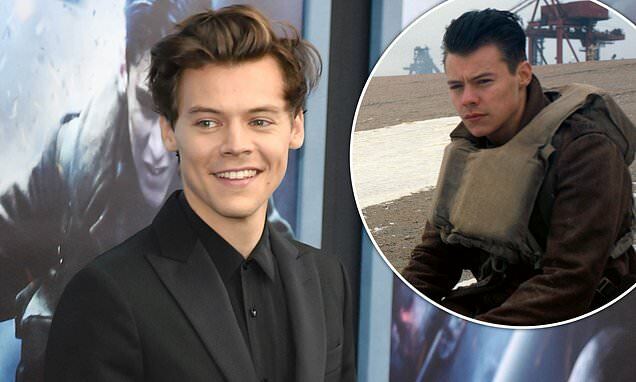 And Harry Styles, 24, is reportedly keen to focus on his acting career instead of making music, as it was also revealed he has 'no desire' to reunite with One Direction. 'Acting is something he really enjoys and he's been working behind the camera on a number of different projects. The publication also claimed that Harry has started to take steps to close his Erskine Touring Company later this year, as it is set to be taken off the register at Companies House. One Direction went on a hiatus in January 2016 and the five members (Liam Payne, Niall Horan, Louis Tomlinson, Harry and Zayn Malik) have all enjoyed hugely successful solo careers. In Dunkirk, Harry played the role of Alex, a British soldier, alongside Bandersnatch star Fionn Whitehead, Cillian Murphy, and Tom Hardy.